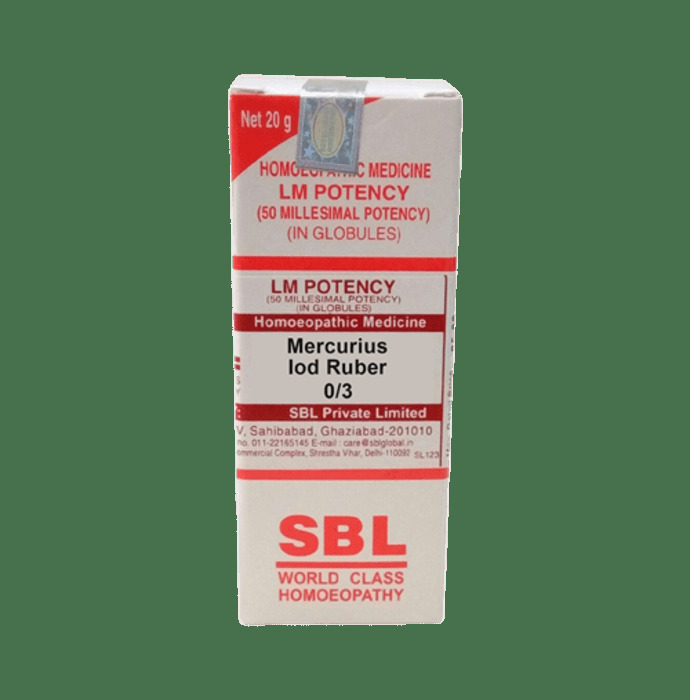 Known as Bin-iodide of Mercury, this remedy is a great drug for bacterial infections. A Very good remedy to treat throat infections, diphtheria, where the throat is sore and ulcerated, muscles in the throat and neck become stiff. Left tonsil is dark red in color, if given repeatedly, it will prevent pus formation around the tonsils. Throat complaints with loss of voice. Swelling of the gums, glands, nasal bones, and throat. Coryza and dull hearing, the right side of nose hot. Hawks mucus from posterior nares. Hard painless nodules occurring after sexually transmitted diseases. Dose- As prescribed by the physician. Can be taken along with allopathic medicines. 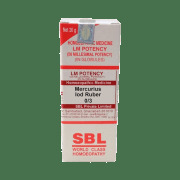 A licensed pharmacy from your nearest location will deliver SBL Mercurius Iod Ruber 0/3 LM. Once the pharmacy accepts your order, the details of the pharmacy will be shared with you. Acceptance of your order is based on the validity of your prescription and the availability of this medicine.